Not all biosimilars are considered interchangeable! What does it take for a biosimilar to be designated interchangeable? 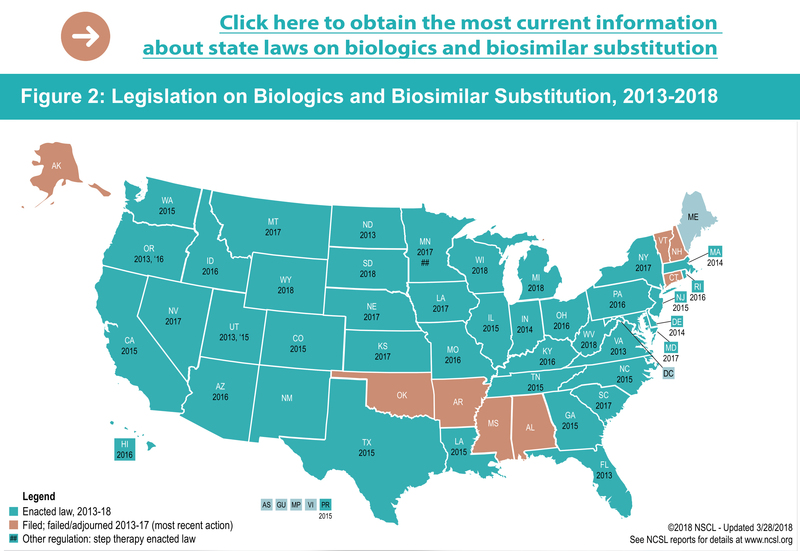 Background information: lists of licensed biological products with reference product exclusivity and biosimilarity or interchangeability evaluations (Purple Book). U.S. Food & Drug Administration website. https://www.fda.gov/drugs/developmentapprovalprocess/howdrugsaredevelopedandapproved/approvalapplications/therapeuticbiologicapplications/biosimilars/ucm411424.htm. Updated March 5, 2015. Accessed February 16, 2018. Considerations in demonstrating interchangeability with a reference product: guidance for industry. U.S. Food & Drug Administration website. https://www.fda.gov/downloads/Drugs/GuidanceComplianceRegulatoryInformation/Guidances/UCM537135.pdf. January 12, 2017. Accessed February 16, 2018. Barlas S. FDA guidance on biosimilar interchangeability elicits diverse views. P&T. 2017;42:509-512. Prescribing biosimilar and interchangeable products. U.S. Food & Drug Administration website. https://www.fda.gov/drugs/developmentapprovalprocess/howdrugsaredevelopedandapproved/approvalapplications/therapeuticbiologicapplications/biosimilars/ucm580430.htm. Updated October 23, 2017. Accessed February 16, 2018. 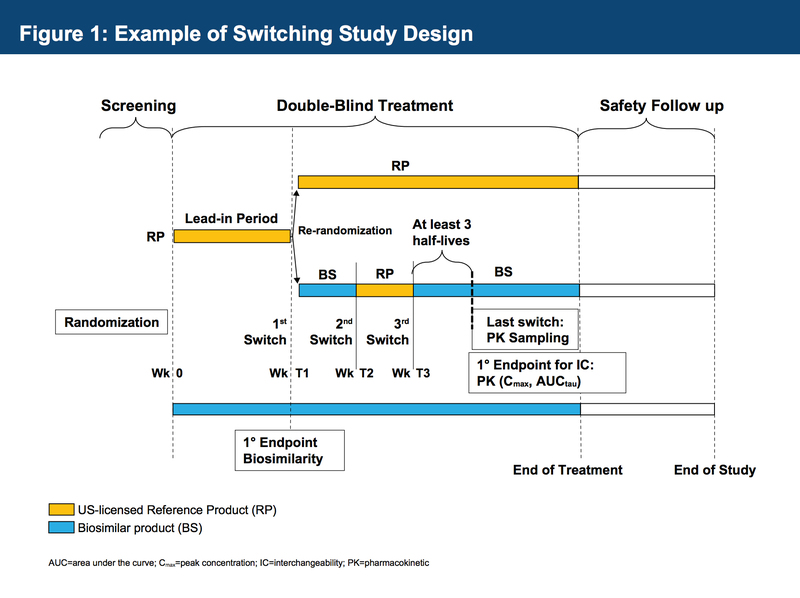 Stanton D. Biosimilar interchangeability: do you know your switching from your substitution? BioPharma Reporter website. March 21, 2017. https://www.biopharma-reporter.com/Article/2017/03/21/Biosimilr-switching-interchangeability-and-substitution-the-EU-view?utm_source=copyright&utm_medium=OnSite&utm_campaign=copyright. Accessed April 4, 2018.